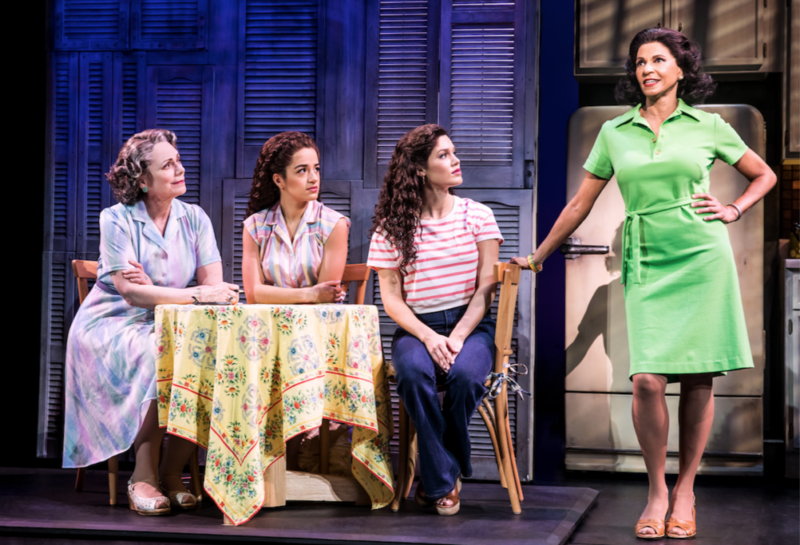 Lisa Condit spoke with actress Debra Cardona, who plays the role of Gloria Estefan’s grandmother, Consuelo, in On Your Feet! The Broadway musical comes to our stage Wednesday, March 27 – Sunday, March 31. Cardona’s previous work includes A Christmas Carol at Madison Square Garden, the national tour of Mary Poppins and the recent live broadcast of RENT. Lisa: Entertainment Weekly describes this show as a “ferociously fun and feel good musical.” Does that description capture it? Debra: Absolutely. And also, it is very moving. It speaks to everyone. 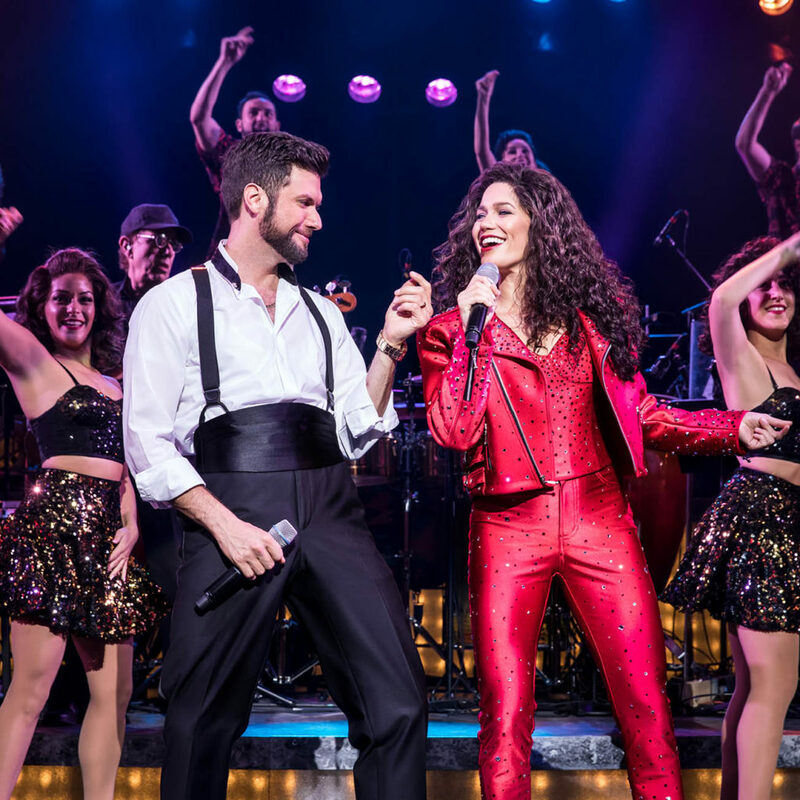 It is about Gloria and Emilio Estefan’s life… how they met, how they created music, how they broke through. They helped other crossover artists like Jennifer Lope and Shakira. Lisa: ﻿I am a big fan of Gloria Estefan, as are most people of my generation. Debra: Half our band played with the Miami Sound Machine. Our musical director has been with Gloria for 32 years. Lisa: ﻿I remember when the Miami Sound Machine was really big and Gloria was really hitting her stride… and then the accident happened. Debra: At first they thought she would never walk again. From the time of the accident, she came back in a year. I heard Emilio say that he had to wake her every 45 minutes to get her to walk. It was long. It was hard. It was painful. But she was able to come back, and she was doing an international tour a year later. Lisa: ﻿Some would say she came back better than ever. Debra: I used to watch videos and wonder how was she doing it. So much energy, and her voice was better than ever. It’s an inspiration. Lisa: ﻿The talent that has come together to make sure this musical is feel-good, inspirational is substantial. Lisa: ﻿How long have you been with the tour? Debra: I’ve been with the tour for a year. I ran to see the show when it was on Broadway. I wanted to be a part of it. I didn’t get the part right away. When the show went out on tour, they offered the roles to the Broadway cast. When the woman who originated the role of Consuelo left, they offered me the role. Lisa: ﻿What is it like to play Gloria’s grandmother? Debra: Gloria’s abuela really believed in her musical talents. Gloria had a hard childhood. Her grandmother took her aside and told her, “This is what you should do. This is what makes you happy.” She encouraged Gloria and fought for her until she was old enough to fight for herself. Lisa: ﻿What is your favorite part? Debra: At the end of the first act, there is a scene about how they developed the music for the song “Conga.” It is hilarious and you just want to get up and dance. It’s really fun! Lisa: ﻿This show is part of our Adopt-A-School program, where our education department works with different schools in the Worcester system and they incorporate arts into every part of their curriculum. They are using this musical as the theme for all of their lesson plans. The culmination is that these students will be able to come and see On Your Feet! at The Hanover Theatre. In the theatre, we will have artwork that the students have done and writing they have done to show the connection between arts and education. Debra: I’m looking forward to meeting the students. Arts are so important, and they were a great inspiration to me. They helped lead me on the path I am on today. 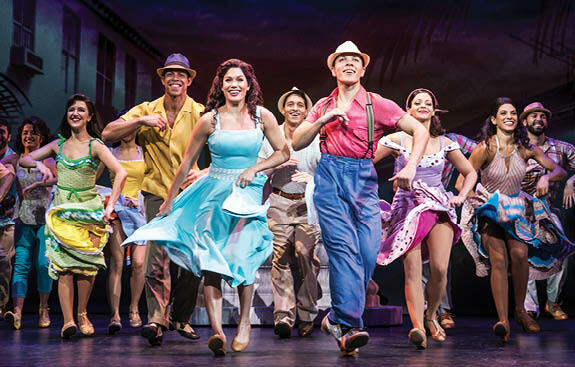 RESERVE TICKETS FOR ON YOUR FEET!